- This content will add 100 "Premium Tickets" to be used in the game. The purchase history can be confirmed in "Library" or "Services". 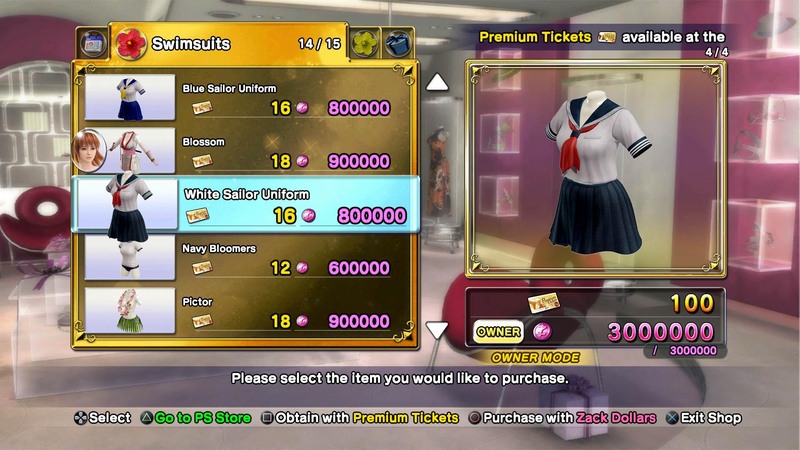 100 Premium Tickets that can be exchanged for new swimsuits in the DEAD OR ALIVE Xtreme 3 Scarlet!